George Bernard Shaw hit the nail on the head when he said “The single biggest problem in communication is the illusion that it has taken place”. With an ever growing population with a diverse and varied background, patients and doctors are faced with increasing difficulties when simply trying to communicate. Statistics from the 2011 Census show that 22% of London residents do not speak English as their first language and that nearly 320,000 Londoners cannot speak English well or at all. The Office for National Statistics reported that, at the time, there were 53 ‘main’ languages spoken in London. The Office defined a ‘main language’ as being one spoken by at least 0.1% of the city’s population. This pressure is felt deeply in the health sector, where patients and doctors have limited time to explain their position and understand each other. This is already difficult enough when the doctor and patient speak the same language, but what happens when they don’t? With a GP spending, on average, between 8 to 12 minutes with a patient – what are the risks caused by language barriers to both patients and doctors? As a medical negligence lawyer, I can tell you that the threats to both parties are significant and cannot be ignored. Good medical advice is worthless if the patient cannot understand it. Similarly, taking a medical history becomes redundant if a patient cannot tell their doctor what is wrong. Language barriers between patients and doctors are causing unnecessary injuries and medical negligence claims. In order to understand how language barriers can cause negligence, it’s important to know the law on consent. Doctors must obtain informed consent from their patients for each and every procedure undertaken. 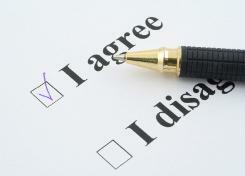 Failure to do this can lead to injuries and a legal claim for negligence. In the last couple of years, the Iaw on consent has changed and the requirements are now much wider and stricter. The changes were put into place to protect patient safety and autonomy and also protect doctors from legal claims. The consent process focuses on individual situations and people, as opposed to the “reasonable doctor” advising a “reasonable patient”. A doctor must fully advise a patient of their treatment options and the material risks and benefits of each option. The patient must then consider the advice given, their individual circumstances, concerns and wishes and advise their doctor what they’d like to do. The patient does not have to give any explanation to justify why they’ve chosen the option they have and the patient has the right to choose not to go with any of the options provided as well. This means that the doctor must understand their patient and know what is likely to be important to them. Relying on statistics is not sufficient. For example, the risk of damage to vocal cords might be small, but to a singer, this would be materially significant. It is therefore no longer sufficient for a doctor to consider their consenting process as adequate by comparing it to the standards of a reasonable medical professional. Instead, the relevant standard is what information their particular patient needs in order to consider their position and make a decision. The consent process must involve a conversation between the doctor and the patient. Doctors and hospitals cannot rely on printed information, including leaflets or a printed consent form and must advise patients personally. It is the doctor’s duty to make sure the particular patient understands the information and advice given. It is not enough for a doctor to give the same advice and risks to each patient, assuming they will all understand. In the case of Montgomery v Lanarkshire Health Board , the Court said “the doctor’s duty is not therefore fulfilled by bombarding the patient with technical information which she cannot reasonably be expected to grasp, let alone by routinely demanding her signature on a consent form”. Patients must be given appropriate time to be able to consider their position and treatment options before they have to make a choice. This is particularly relevant in hospital situations where a patient may be asked to sign a consent form whilst being taken to theatre. We cannot ignore that language barriers are likely to happen in the NHS. We have to be prepared that a patient, or doctor’s, command of the English language may not be adequate. There are also situations when neither party’s English is sufficient. There is a danger that informed consent is not obtained when parties are unable to communicate clearly – leaving the patient at risk of injury or harm and the doctor at risk of a legal claim against them. Know where you stand and your legal rights. This is your body and your health and it’s up to you what you choose to do. To do this, you, of course, need all the necessary information and advice from your doctor will be crucial. If you feel that you do not have enough information to make a decision, ask questions. If you feel like you’re not getting anywhere, ask to speak to another doctor. Identify situations where language barriers may occur and consider your options. Could you ask your GP practice or hospital for an interpreter in advance of your appointment? Are you able to see someone else? Could you bring a family member or friend to translate for you? If you do have friends or family help, you will, of course, need to be happy that they will know private information about your health and satisfied that they will be able to translate freely for you. If you have concerns about their understanding, consider another option. Ask questions to check that you and your doctor have understood each other. Do not be afraid to say “Okay, so I understand that my options are A, B, C and of these, you recommend option A because of X, Y, Z”. Be wary if your doctor is unable or unwilling to answer simple questions. Don’t be afraid to take notes to keep a record of what is said. Ask for clarification of anything that you don’t understand, including complicated medical terms. Take your time. In most situations, you should be able to have enough time to consider your options before having to make a decision. Take this time to really consider what’s important to you, and what risks you are willing to take. Rushing into a decision could leave you at risk of undergoing a procedure you do not want. Take time to read through notes that you made, and sleep on any big decisions.